Looking for a roofer in Roundhay, Oakwood or Gledhow? When you've been roofing as long as we have, there is little you haven't seen. 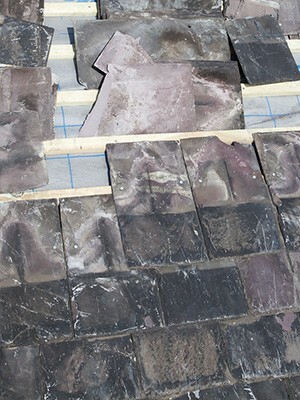 If you live in Roundhay or Oakwood, you could have a lovely old slate roof, one made from concrete tiles, or a flat roof in a variety of materials. Whatever kind of roof you have, and whatever needs doing to it to fix it, we're the team to call. Why? Because roofing is ALL we do - and we do it superbly. Time flies, but in the years that we have been trading, we've gained ourselves a reputation to be proud of. Our prices are both fair and competitive, the work we do is of a very high standard and to top it all off, every job comes with an extensive guarantee. It all starts with a free, no obligation survey followed by a written quote. So why not put us to the test and see just how affordable our roofing services are. Call us today on 0113 370 9019.